Attach any documents that you think relate to the complaint. This statement is true and accurate to the best of my knowledge. 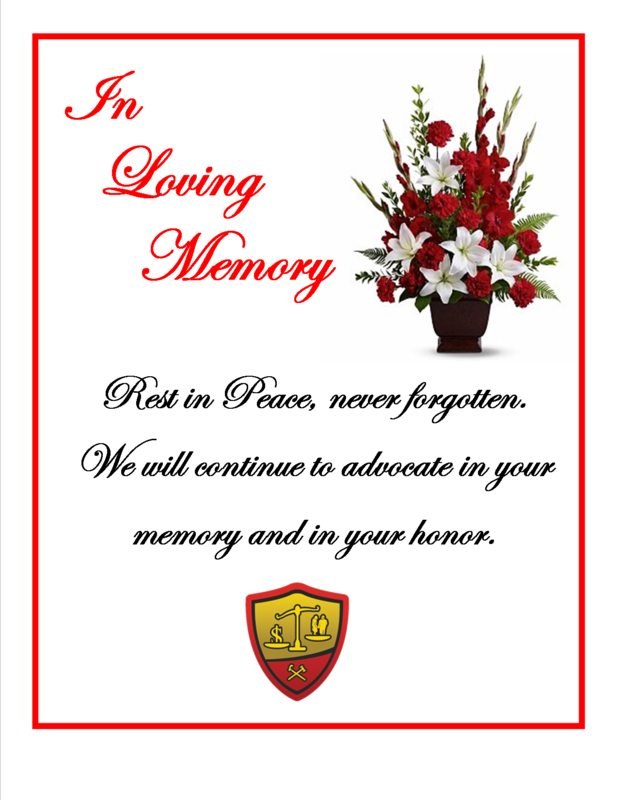 Robert Kilgore, Jr. requests information and assistance concerning the guardianship and conservatorship. He currently resides at Belle River Pines Adult Foster Care home (BRP) in Memphis, Michigan, where we became acquainted. On several occasions, Mr. Kilgore expressed troubling sentiments about his living arrangements, medical care, income, estate and other matters involving the court and its appointees. He lacks resources to convey his concerns. In expressing them for him, to my understanding, I make no claims as to my limited knowledge of his affairs. 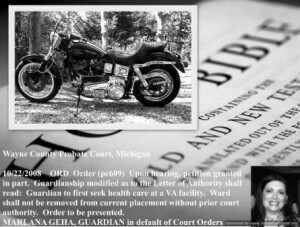 Mr. Kilgore stated that he participated in a substance abuse recovery program at a Veterans Affairs (VA) facility in Ann Arbor during the time that many court events occurred. While his descriptions of major guardianship events concur with the court’s case docket entries, he expressed little or no knowledge of conservatorship events that occurred simultaneously or within the same period. He correctly stated that Marlana Geha is his current guardian, but not his conservator. In lieu of a conservator, he would like to know who is managing his income and by what means [or, Letter of Authority]. Mr. Kilgore claimed that he received monthly Social Security (SS), VA Pension/20% Disability and, at some point, “GM” Pension benefits that were deposited in a joint account prior to M. Geha’s appointment as his guardian. He said that he “did not assign Geha as Representative Payee.” He would like the name(s) of his Representative Payee(s) and information regarding the methods of assignment. Claiming that his house “was sold for 76,000,” Mr. Kilgore expressed dismay about the sale price, lack of notice of an Order to sell the real estate and the apparent dissolution of his assets [$162, 600 on Inventory] within a short period. He would like the court to inform him about conditions that pre-determined the house sale and the dissolution of his estate, to his satisfaction. He also stated that he does not have money for personal necessities now; once, a BRP Staff gave him “$2.37, a balance from some kind of fund” at BRP. He would like to speak with his income manager about providing accessible funds for his personal needs. Mr. Kilgore summarized considerable concerns as evolving from a hearing that he attended when he was undergoing substance abuse treatment, possibly in 2008. During that hearing, he maintained, “the judge” assured him that a) he would be able to return to his home in Sumpter Twp. after completing the treatment program, and b) he would continue to receive medical care at the Ann Arbor VA center. According to Mr. Kilgore, his house was sold while he was “in recovery,” Dr. Geha moved him 77 miles north of his Belleville-area home in Southwest Wayne County to St. Clair County, and b) he was unable to obtain medical care at the VA center for an extended period. He would like to know why the court approved the house sale at that time, despite Chief Justice Mack’s commitment (a). He would like to know why his Guardian moved him so unreasonable a distance from his medical center as to render customary care inaccessible, despite Chief Justice Mack’s commitment (b). His current guardian has not established meaningful or routine communications with him and he cannot contact her, Mr. Kilgore said. He is unhappy living at BRP for several reasons. These included quality of living at the large group home and its remote location, due to which he has lost contact with close friends who cannot travel the distance and, as mentioned, his medical care lapsed and is irregular. (Eventually, Mr. Kilgore secured one appointment with VA/medical and scheduled a second on April 14, 2011.) Mr. Kilgore would like to speak with Marlana Geha, PhD about her duties and intentions as his legal guardian. He would like to move to a practical location within the court’s jurisdiction that is closer to his family, friends and medical center, and discuss his preferences. Mr. Kilgore stated that, within the past few months, a VA representative, a court attorney and the investigator of a BRP grievance interviewed him at the residence. He appreciated speaking with them but is unaware of specific actions they might take to resolve his problems. He would like to speak with an attorney about the current objectives of the guardianship and his rights as a Protected Individual. Thank you for your time. I hope this information will be helpful in optimally administrating the guardianship and conservatorship in Robert Kilgore’s best interests. Mr. Kilgore does not know if he receives all mail intended for him at BRP; nonetheless, if possible, please direct a response to this letter in writing to him at his residence and copy me with the reply. The MICHIGAN ADVOCACY PROJECT ™ assists familial guardians and conservators in compiling court-required reports and accessing community, protective and legal resources in Michigan. ‘MAP’ supports individuals and families in inappropriate or harmful guardianship situations nationwide through state and federal legislative initiatives and public media.